Street Photographer Svilen Nachev is the winner of the June 2017 Monthly Theme Contest. He is based in Svishtov in Bulgaria. Five months ago, Svilen won the “The Colour Red” monthly theme contest. His images was selected from a pool of 30 Colour Red street photography themed photographs! Since January we have introduced new prizes for the winners of the Streethunters.net monthly theme contests. All prizes aim to give the winners massive exposure on our website and our social profiles. But what are those prizes? First of all Svilen’s winning shot was the cover image for our Facebook page, our Twitter page and our Google+ page for the month of July 2017. To top all this off we have created a video slideshow of 50-60 of Svilen’s favourite photographs to share with our 12K subscribers on our YouTube channel. So here is it Street Hunters! 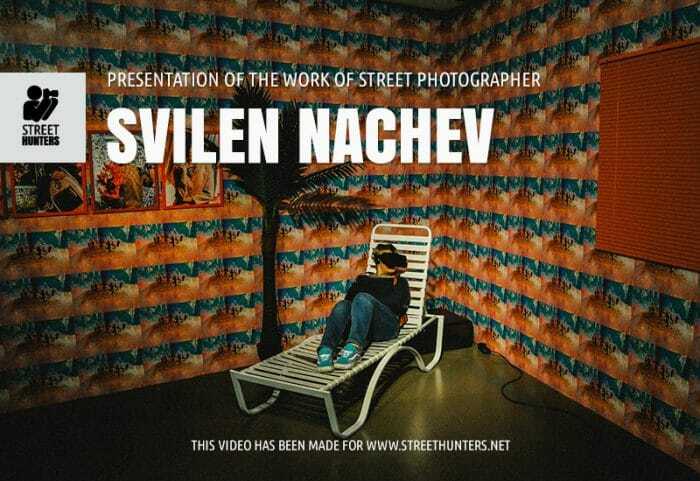 Some of Svilen Nachev’s favourite photos to date. Give the video a look and please don’t forget to like and share!